MMIV Seminar – Radiomics/Radiogenomics – A potential tool to improve diagnosis and treatment in endometrial cancer? Welcome to the third MMIV Seminar of the year on the topic of Radiomics/Radiogenomics. Our speaker for this upcoming seminar is Tina Fonnes who will be presenting a talk entitled “Radiomics/Radiogenomics – A potential tool to improve diagnosis and treatment in endometrial cancer?”.. Tina got her veterinary degree in 2013. After that she did her PhD-studies in the Bergen Gynecological Research Group, and defended her thesis “Preclinical models and molecular biomarkers – Tools to improve treatment of endometrial carcinoma” in November 2018. 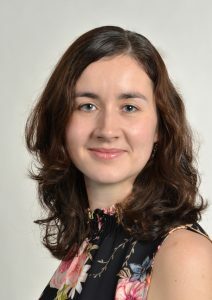 Tina currently works as a researcher in the Bergen Gynecological Research Group at Kvinneklinikken. Her field of interest is to develop mouse models for endometrial cancer, and to use these for preclinical studies. She also work a lot with small animal imaging. Title: Radiomics/Radiogenomics – A potential tool to improve diagnosis and treatment in endometrial cancer? Abstract: Endometrial cancer is the 4th most common cancer in European women, and incidence is increasing. Today, patients with high-risk disease are identified through histological examination of tumor samples, and in some hospitals also MRI and/or PET/CT imaging. Unfortunately, the current risk stratification is not precise enough, causing both under- and overtreatment of patients. Better tools and methods are therefore needed to improve the management of this disease. In radiomics and radiogenomics, computerized techniques can be applied to integrate image data with other clinical parameters. There has been a growing interest for radiomics and radiogenomics over the last years, especially within cancer research. This talk will highlight some of the main challenges of endometrial cancer, and introduce the concepts of radiomics and radiogenomics. The potential of radiomics and radiogenomics to improve diagnosis and treatment in endometrial cancer will also be discussed.